Quartz countertops look great in both residential and commercial applications. Home and business owners who have quartz countertops installed in their home or business receive plenty of benefits, like the material’s extreme durability, a slight resistance to heat, and more. Because of these benefits, as well as the persistent beauty that quartz countertops offer, the style has become a popular choice for many. If you are considering a bathroom or kitchen remodel, quartz countertop installation alone will instantly upgrade its looks. Not to mention, quartz countertops have a non-porous surface, which allows it to be almost completely immune to bacteria and germs, and is resistant to stains as well. These specific properties are what make quartz countertops simple to clean and maintain. However, even with these carefree properties, quartz countertops still need to be properly cleaned and maintained to keep them looking their best. As one of the leading countertop installation and remodeling services company in Barbados, our team of professionals understand the ins and outs of quartz countertops, including the best ways to keep them clean and maintain their beauty. To help those who have quartz countertops in their home or business, we are going to share some of the effective ways to properly clean and care for your quartz countertops, including how to keep them resistant to germs and bacteria each day. If you are interested in having quartz or other popular countertops installed in your home or business in Barbados, be sure to team up with the best remodeling and countertop installation company in the area, Fiberpol! If you have been following our blog for a while, there’s a chance that you already know a little bit about quartz countertops as well as how they can benefit a home or business, whether installed in the kitchen, bathroom, or another area. However, to catch those up who may not know as much about quartz countertops, we figured we would do a brief review of this beautiful countertop choice. To start, quartz is commonly mistaken for a naturally-made stone. However, quartz is actually a man-made, engineered product. Quartz is generally made up of about 93 percent natural quartz and about seven percent resin and pigments. Quartz can be used in numerous applications, but it is most common and recommended for bathrooms, kitchens, and other surfaces that are used excessively in residential and commercial properties.Although quartz is not necessarily a natural stone, this style of countertops possesses a natural luster and almost three-dimensional appearance, similar to what you would find in countertops made of natural stone, like granite countertops. 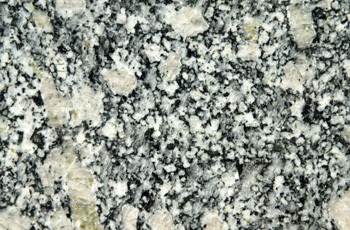 As mentioned earlier, quartz countertops possess a non-porous surface, which makes them more resistant to stains. However, just because quartz countertops have these beneficial properties, they still should be cleaned from time to time. If you have quartz countertops, do not waste your money by purchasing high-end cleaning products. Although some of these products may help keep your countertops clean, some products contain harsh chemicals that could wear and damage the surface. Plus, the supplies you need to clean a quartz countertop are likely supplies that you already have! And generally, the only supplies you will need for a quick cleaning is warm water, dish soap, and a washcloth. 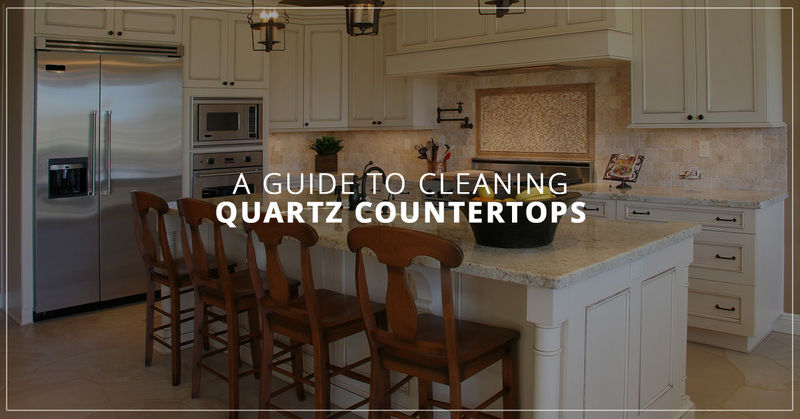 If you want to clean your quartz countertops on a consistent basis, consider following the cleaning steps below. In a sink or bucket, mix warm water and a little dish soap. Using a microfiber cloth, apply the soapy water to your quartz countertops. To eliminate grime and suds picked up from the surface, rinse your microfiber washcloth with fresh, clean water. Enjoy your spotless quartz countertop surface! Fiberpol Tip: Since quartz countertops do not use sealant, avoid using dish soap that contains citrus extracts, as soaps with high levels of acidicness can damage the surface. Do You Notice Stains and Watermarks? While stains and watermarks are pretty uncommon with quartz countertops, they are possible. To keep stains and watermarks from becoming permanent imperfections, it is important to clean up spills and excess water from the countertop surface as soon as they are noticed. Even when you are performing the cleaning tips above to your countertop, it is essential to ensure the entire surface is dry and free of water. If your quartz countertops happen to become stained, fear not! Getting rid of those pesky stains isn’t as difficult as most people believe it to be. A quick and easy way to remove stains and watermarks from the surface of quartz countertops is simply by using window cleaner. You can quickly spray stains and watermarks, scrubbing the areas with a non-abrasive sponge, and wiping them with a dry cloth afterward. However, depending on the stain, a more sophisticated cleaning solution or product may be required. For safe practice, you should always refer to the countertop manufacturer’s instructions to figure out which cleaning products and strategies will work best to remove these annoying imperfections. Even though the cleaning supplies you need to clean quartz countertops are usually already within your home, some home and business owners still choose to purchase cleaning products to keep their counter’s surface clean. Because this countertop material is 93 percent natural stone, it is best to avoid cleaning products that are acidic, like many commercial cleaners that use citric extracts, vinegar, ammonia, or bleach. Using these kinds of products will eventually cause your countertops to look dull, worn, and not appealing at all. In addition, avoid using the following products to try to clean your quartz countertops. Whether you have quartz countertops in your residential or commercial property, keeping them clean requires consistency more than it does time and effort. In fact, wiping your countertops with warm, soapy water and drying with a microfiber cloth takes two minutes, at least. Try getting in the habit of wiping your countertops a few times a week to every night, depending on personal preference. By frequently cleaning the surface of your quartz countertops, you’ll be able to enjoy its impeccable beauty, durability, and the other great benefits for years! Quartz countertops can be a great addition to any home or business, whether installed in the kitchen, bathroom, or another area. If you are interested in having quartz countertops installed in your residential or commercial building in Barbados, contact the team the area knows and trusts, Fiberpol! Whether you want quartz, or another one of our great countertop styles, you can count on Fiberpol to have the most modern and trending styles, like obsidian black quartz countertops, that will instantly upgrade your kitchen or bathroom. 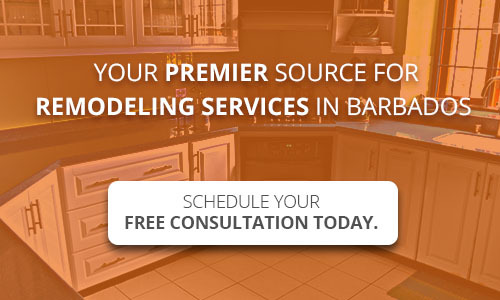 To set up a free remodeling consultation or to learn more about our Barbados countertop installation services, contact our team today!